If you ever wondering why Getter Liger and Getter Poseidon were not included alongside Getter Dragon, wonder no more as Bandai will be releasing them in the 3rd Super Mini-Pla Getter set. 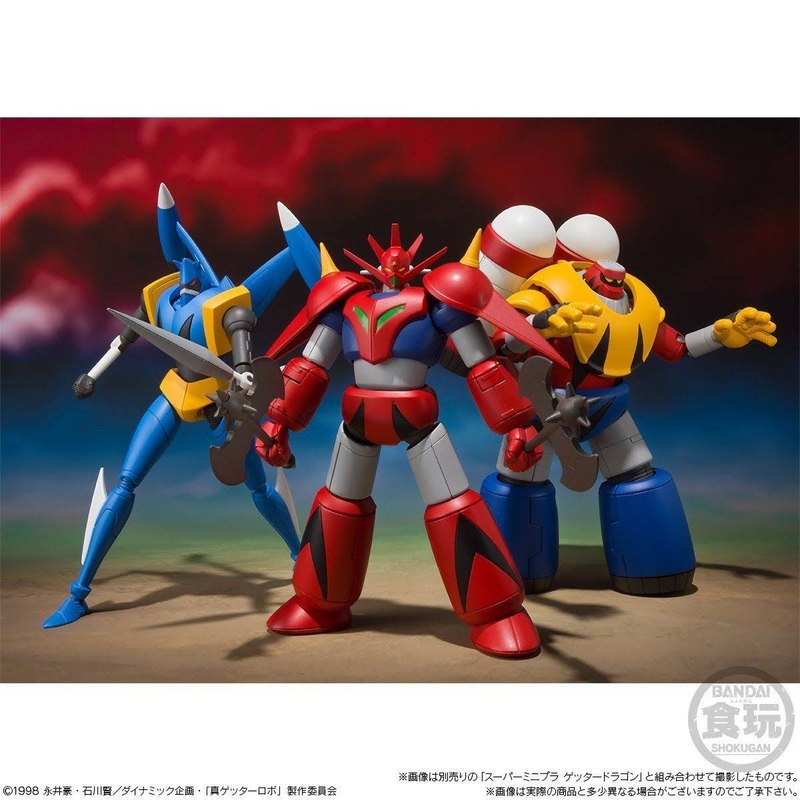 Like the Getter Dragon, Liger and Poseidon's design is based on the OVA version, Change Getter Robo!! 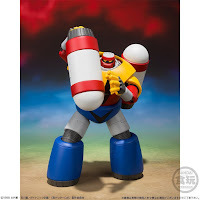 The Last Day of the World. 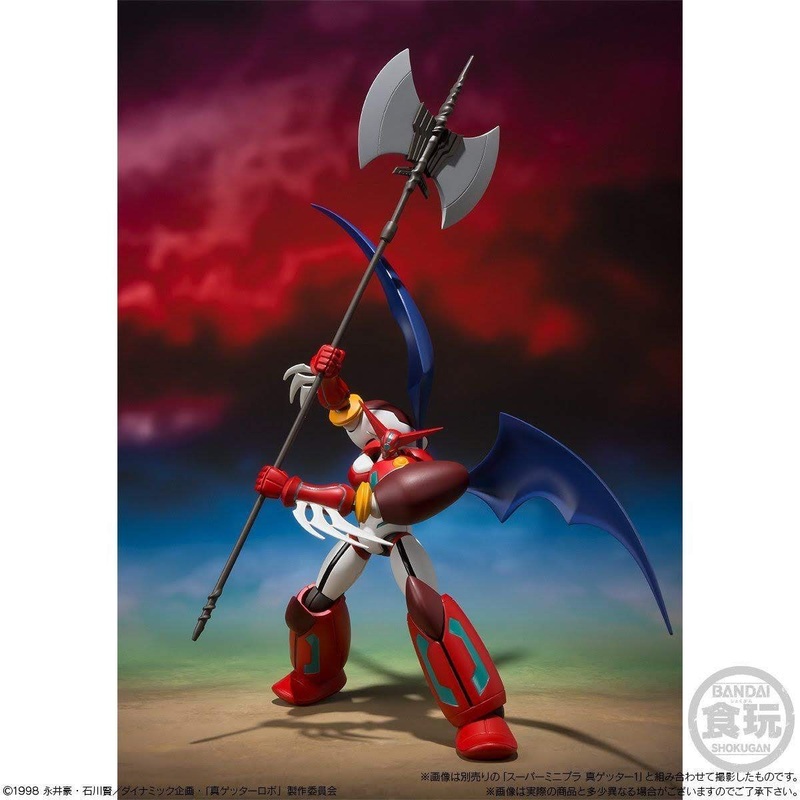 Aside from that, it will also include Shin Getter 1's Getter Tomahawk which was not included in the previous set. Getter Liger comes with its Drill arm, Missile launcher arm, Missile, a pair of effect base for its feet and 2 alternate right hands. 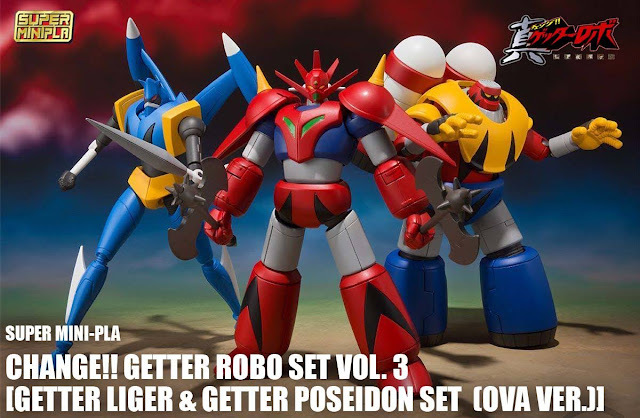 While Getter Poseidon comes with only 2 pair sets of optional hands. 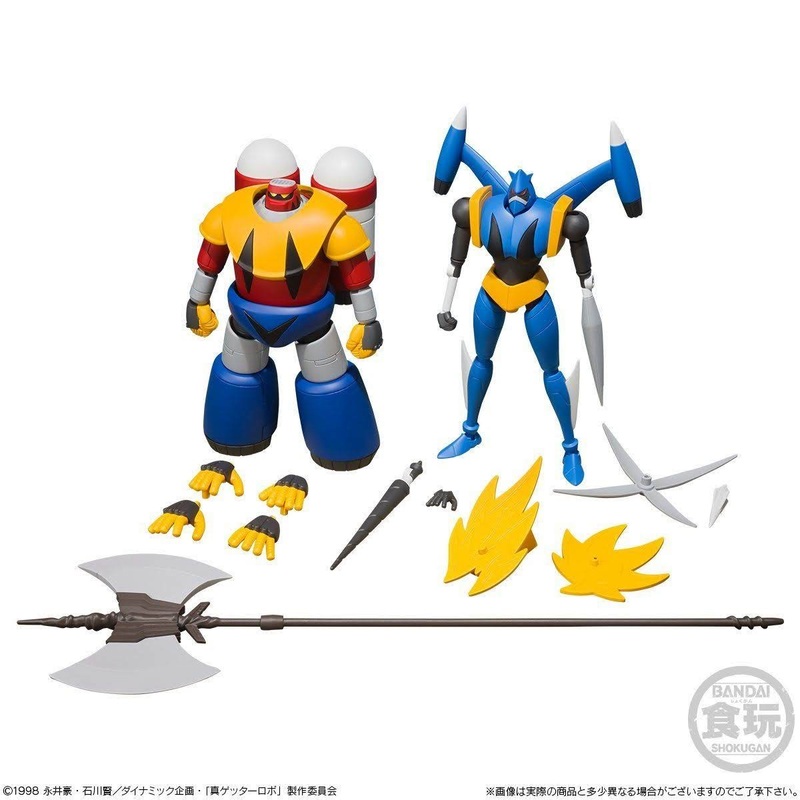 Now accepting pre-orders for this Bandai Candy Toy Online Shop exclusive kit and it will be released in February next year, priced at 5,400 Yen. 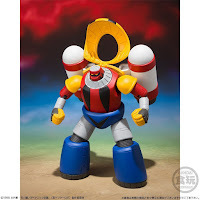 No Response to "Super Robot News: Super Mini-Pla Change!! 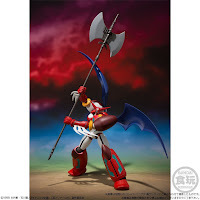 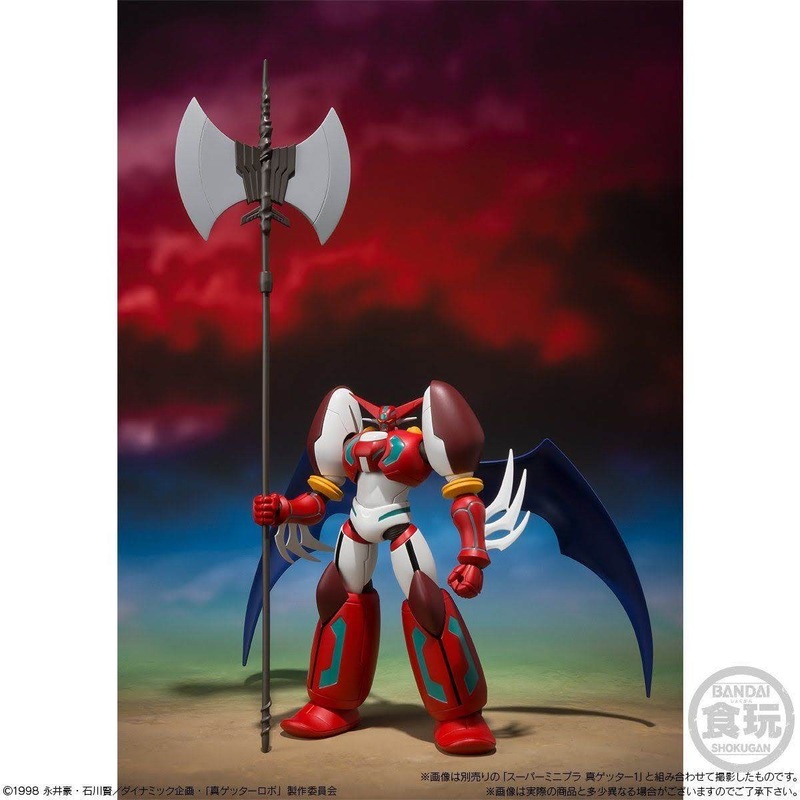 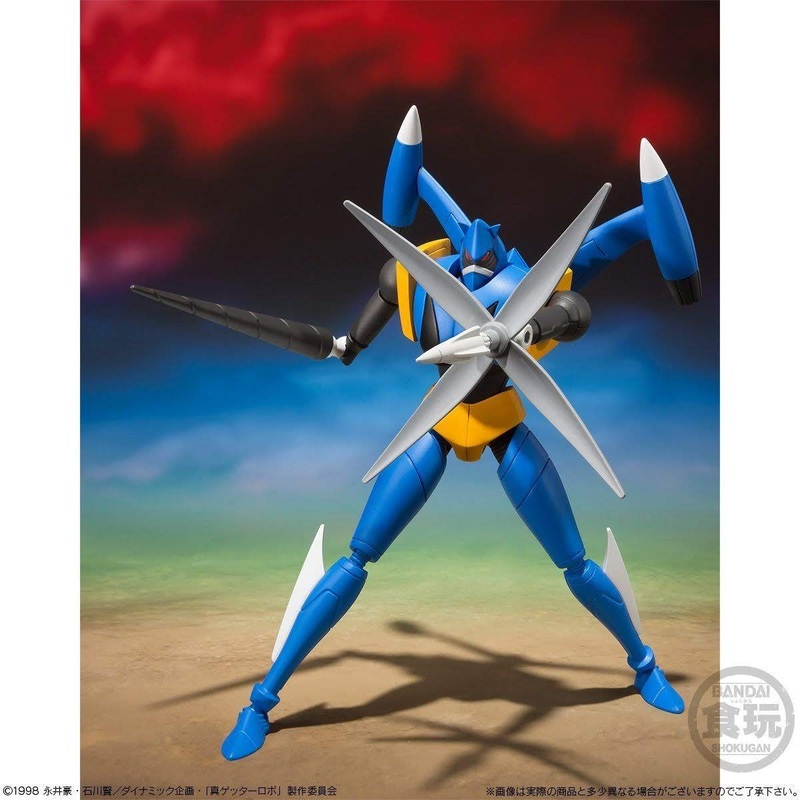 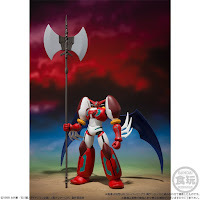 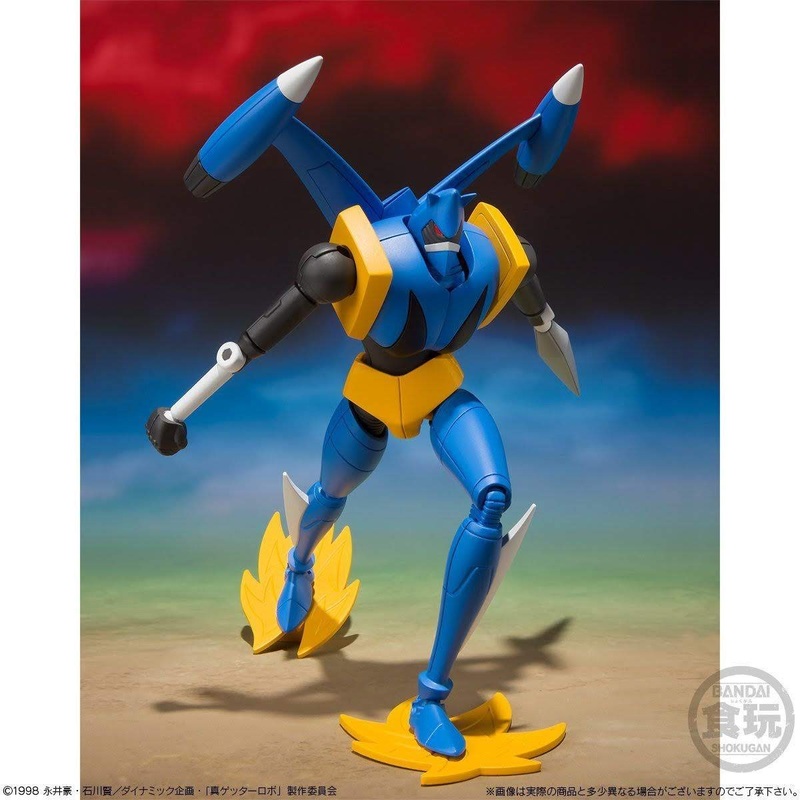 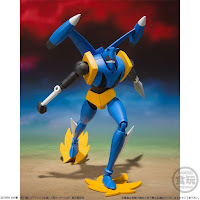 Getter Robo Set (Vol. 3) Official Images"